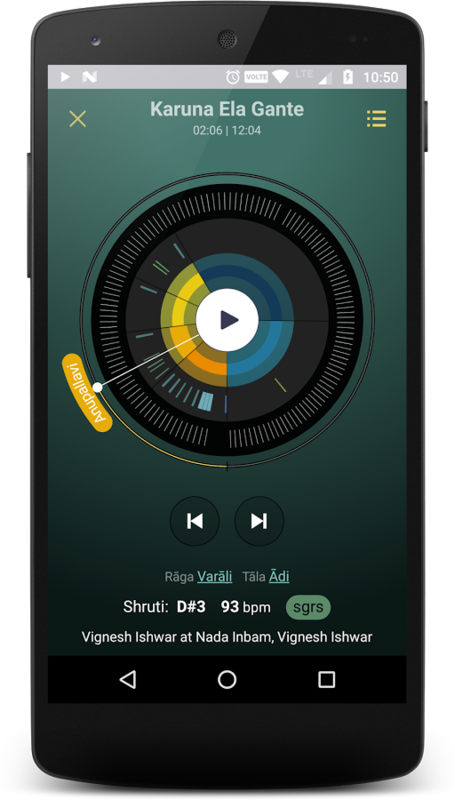 Sarāga is a free android app that showcases some outcomes of CompMusic. You can donwload it from Google Play and watch an introductory video. 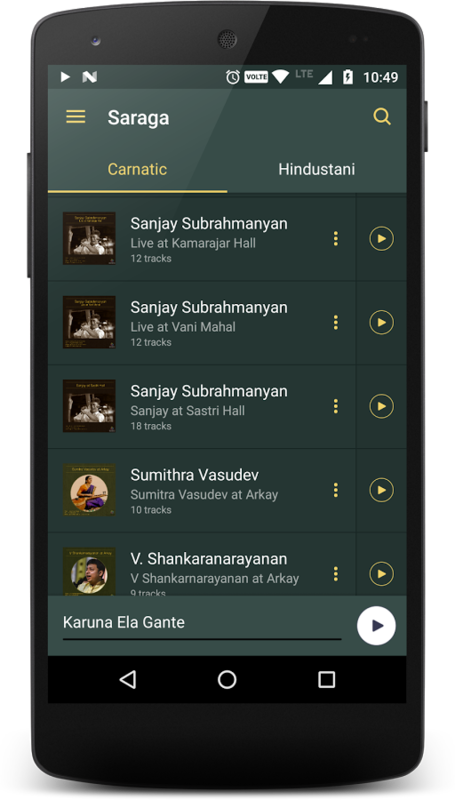 Sarāga proposes an enriched listening approach on a collection of Carnatic and Hindustani music. It allows Indian art music connoisseurs and casual listeners to navigate, discover and listen to these music traditions using familiar, relevant and culturally grounded concepts. Sarāga includes visualizations and inter and intra-song navigation patterns that present musically relevant information to the user. These time synchronized visualizations of musical facets such as melodic patterns, samas locations, and sections, provides a user with better understanding and appreciation of these music traditions. Time-synchronous visualization of sections/forms, prayogas/pakads and taala boundaries for intra-song navigation, engaged listening and appreciation. Compound filters over raagas, taalas, instruments and artists for finding songs. Compiles representative and characteristic aspects of raagas and taalas across performances for a deeper understanding of musical concepts.